The Hypro Calibration Jug is designed to measure the output of chemicals to ensure that the desired amount is being applied. The jug is available in 32 and 128 ounce sizes. Jug comes in either 32 Ounce or 128 Ounce sizes. 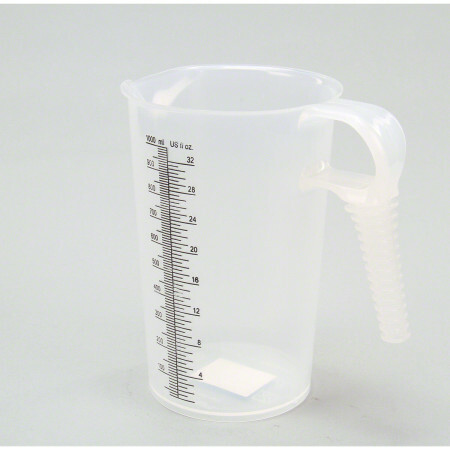 This measuring cup is very well done and will make mixing spray much easier. Takes the guess work out of the equation.